I made Practice Pair of Socks #1 (blue pair) top-down. For Practice Pair of Socks #2 (these pink ones), I decided to try bottom-up. It seemed like the next logical step in my sock knitting adventures. Since the 1st sock fit neither loose nor snug, I decided to make this pair of socks using smaller needles. I used 2.75 mm for the 1st pair of socks (blue pair). I chose 2.25 mm for this pair. Working from the toe is definitely very fiddly at the beginning. I would say it is much easier to work top-down. The toe starts to take shape after working several rounds. Hey, this isn't too bad. I think I can do this!!! So after finishing the toe increases, I decided on a whim to slap on a cable pattern to the front side. It's the same cable pattern used in the St. Albans Valentine Cable Mitts; I'm using this pattern because it is fresh in my mind as I am currently knitting the St. Albans Valentine Cable Scarf for my SIL. At the time I hadn't even considered the fact that cables tend to pull inwards. The thing is that I know this from knitting these 15 scarves! Putting a cable pattern on the front turned out to be a bad idea as you will see later. I should have cast on extra stitches to compensate. I had a few different ideas for what to do around the back side after working the heel area. Unfortunately, I did not get as far as trying out any of them. Sidenote: There is something nice about working with a pattern repeat. It's so easy to know how many repeats you've done on the 1st sock (the foot section or the leg section) and this makes it a piece of cake when trying to duplicate it in the 2nd sock. With the my 1st pair of socks where the pattern was plain stockinette it was not as easy to count the rows, so measuring by length would be easier... but then I might be off by a row or two and that would really irk me if I happen to know about it. I actually did count the rows in the 1st pair of socks. That info didn't help when I changed the row gauge by knitting more tightly on the 2nd sock. However if I had knit them both with the same tension, then counting rows on the 2nd sock would have worked out. Despite knowing that I should probably have cast on more stitches, I forged onwards through the remainder of the foot and tried that short row heel. Well what can I say about the short row heel. Words like hate, despise, and loathe come to mind, although they might be too strong to describe such a nice looking heel. 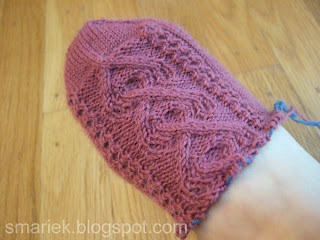 And the short row heel is pretty in its simple seamless way. But oh how I hate working all those turns! I was in wrap, turn, knit hell. Problem #1: I should have knit the foot longer before starting the short row heel. You can see that the foot-to-toe section is much too short and I can barely pull the sock on around the heel. Need to remember for next time (if I decide to try a short row heel again) that besides doing short rows, the heel is also shorter than a heel flap type heel. Problem #2: It is definitely too small around my foot. You can see how the knitting is overstretched. I did wonder how the short row heel would work out since the number of stitches remains constant throughout. Now I see how this type of heel doesn't fit the "big" part of my foot as nicely as a heel flap and gusset. Lesson learned. My first attempt at Practice Pair of Socks #2 went ribbit ribbit and was reduced to this. 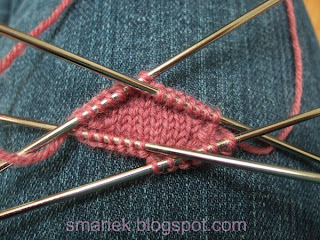 I realized that my smallest crochet hook was a 3.25 mm, and that I should have a smaller one that is the same or smaller than the needle size I am working with for socks. So that could be a size 2.25 mm or 2.5 mm. This would come in handy for picking up stitches along the side of a heel flap. 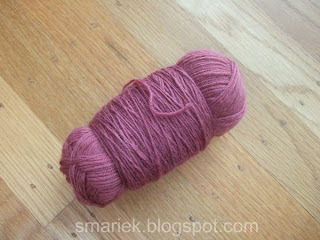 So I picked up a 2.5 mm when I stopped by this LYS, Nine Rubies, (plus some sock yarn seen here). BTW, I do know that you're supposed to say cuff-down and toe-up. I just can't help myself. I used to say top-down and bottom-up in a previous lifetime (referring to something that was non-knitting related). What great lessons learned!!!!! And it was SO pretty!!!!! Thank you for sharing this with us! I know the feeling of having soooo many books on my "to read" list. It's hard to narrow it down, isn't it? Sounds like you have some good reading ahead, though. 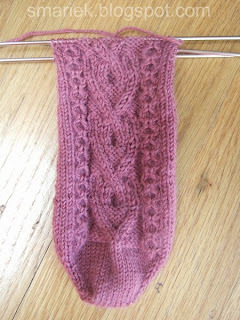 I love knitting socks from the toe up! Good job and very pretty! Lovely knitting. Les miserables, I think that would be a good read. I wish more people would put into words their experiences with knitting socks. that way I don't have to make the same mistakes! LOL. I think the cable is fabulous. Sorry it didn't turn out like you wanted! And I am a big fan of the short row heel (no picking up stitches) but sometimes you need to do a few extra rows at the top to compensate for the ahh...shortness. Ha I made a pun, LOL! I do ALL my socks toe-up with a heel flap and they fit fine. 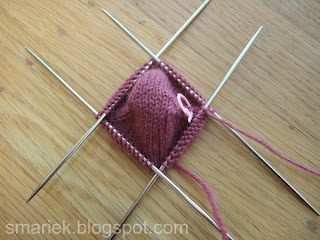 You might have wanted to knit the foot a little longer before beginning the toe. If you'd like my generic pattern, it's on my blog sidebar. I love the way the cables look on the sock. Maybe there is some way to do it top down? How do you figure out how many extra stitches to add? I haven't tried toe up socks yet. I think one day I'll try it but my all time favorite it top down! I have tried short row heels twice and agree with you, I hate them! I have trouble picking up the wraps (or finding the wraps to pick up) I like the heel flap and gusset. I like the way they fit. So I'll stick with them. My daughter highly recommends Nicholas Sparks. So on my "to read" list are some books by Nicholas Sparks. Beautiful slipper, great job. Haven't read any of your books listed. Although I would like to read Les miserables. Have a great day!! Wow! A knitter and a reader! I'd like to read some Sir Arthur Conan Doyle myself. The sock was beautiful, while it lasted. You're learning a lot of things all at once! 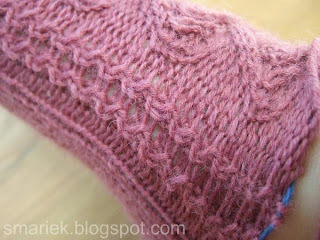 I found the short row heel to be very shallow, too. Here's a tutorial on short row heels without the wrap and turn; I liked it a lot better. Both books sound good, I have not read either of them myself though. Thanks for sharing your process. I love seeing the finished projects but I am fascinated by the how and why of it. Les Miserables was amazing! It does have some slow spots, but if you keep plugging along, you'll be rewarded with a terrific story! Thanks for sharing the sock number 2 adventures with us. I'll take the opportunity to learn from your mistakes. I have some sock yarn and circular needles waiting for me to muster up the courage to take the plunge. I'm pro-toe-up, can you tell?! Thank you for the comment about my yarn at my etsy shop. And what a great learning experience on the toe up socks. I still haven't ventured in trying that yet. I know I should and I should be knitting 2 at a time. Maybe one day I will try that adventure. Until then top down and one at a time. Have a great weekend. Hello! Thank you for sharing your sock knitting adventure with us! So sorry it didn't work out... it looks like it would have been so pretty! Even though it didn't turn out I'm totally impressed with your effort to design your own socks! Move over Cookie A! Best book I haven't read is probably A Thousand Spelendid Sons. Thanks so much for the award - I'm honored!!! I've never read either of these books. It surprised me to realize it. I'm getting great ideas for a TBR list. As to the book question, I can't really answer that, as there are SO many of the classics that I never got around to reading. I should have when I was younger, though, because these days, I simply don't have the attention span to read much. I'm sincerely hoping it's a menopausal symptom, and will go away in due time, as I always was an avid reader. I'm gearing myself up to trying a toe-up sock. I need to finish the cuff down ones I've had on the sticks for a month first, though.